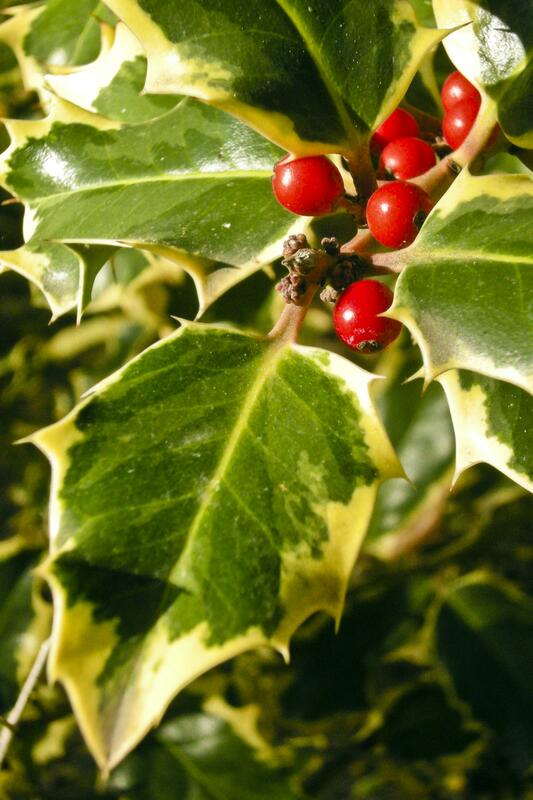 Isn’t holly beautiful with those deep green leaves and brilliant red berries! This plant is perfect for decorating for the holidays. In Stanley Park we know this plant as English holly (Ilex aquifolium), and as INVASIVE! English holly is not only beautiful it is also highly successful, due largely to the fact that it can grow in sun and shade, it grows quickly, and birds help to distribute the berries. Additionally, holly blocks out native plants from growing by creating shade and out-competing them for the water and nutrients they need. On top of growing successfully, holly is also difficult to control. Our SIRT (Special Invasives Removal Team) and occasionally the EcoStewards teams work to remove holly from Stanley Park by digging out small saplings and cutting down larger trees. Holly grows a tap root which hooks into the soil, and if this hook breaks off it will grow into a new plant, so it can be difficult to effectively remove trees. Large holly trees also grow enormous roots which take immense human effort to remove. Our SIRT team wanted to see what it would take to remove a large holly stump, but with a team of 2 to 3 people digging for around 6 hours they still could not uncover the full tap root. Check out the photo to see our Stewardship Intern, Vanessa, holding up the bulk of the holly root dug out by SIRT. Holly is still often used as an ornamental plant, but the Invasive Species Council of BC recommends you substitute “holly-leafed Osmanthus, Red elderberry, Meserve hollies, Tall mahonia and San Jose holly.” The attractive red holly berries entice birds to eat and spread the seeds, so these substitute species help control the distribution of the invasive holly. 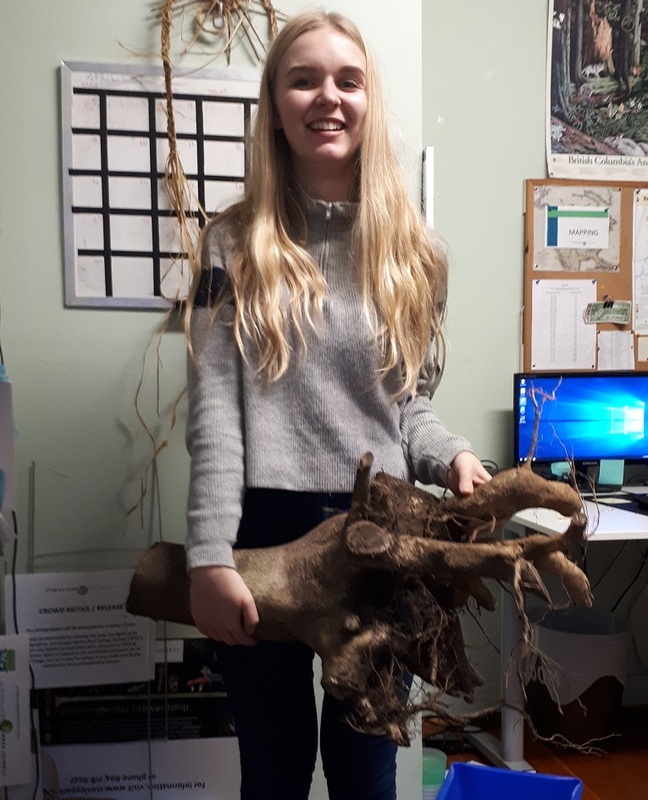 If you would like to join our EcoStewards team and help remove invasive plants like holly from Stanley Park, visit our Events Calendar to register. Our next EcoStewards dates are Feb 9th and 23rd.